This dog isnt well known as a hunting dog, because it is cute and small. In fact most people buy this dog because it is non shedding . But it is very advisable to pick a dog with a suitable temperament for your circumstances. The following information is only a guide, but remember all dogs require walking, grooming, discipline and affection. Many people pick dogs purely on their look but that may get you a highly inappropriate dog for your circumstances. It is highly recommended that temperament, overall size and the grooming regime required are strongly considered in any selection. Non shedding dogs often involve a higher grooming requirement, even if your dog is just going to be a companion dog. 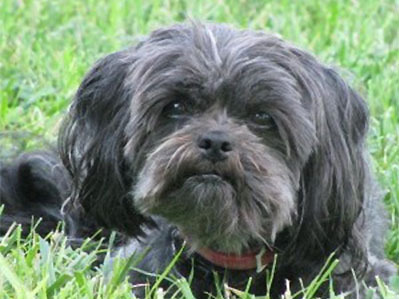 The affenpinscher means “monkey terrier” in German, because its face does have a slight monkey resemblance. It also has long hair on its face compared to its body hair which gives a distinctive, if not comical look. It is a considerably rugged dog that is terrier like in behavior. While they have a playful streak, they can be stubborn and very assertive. So they can switch between fun mode and highly protective modes with ease making them a good small watch-dog. This means that the affenpinscher needs regular training and you will need to assert yourself as the pack leader, otherwise recall and other dominance issues can become an issue. So unless you consider yourself to be an expert trainer, and can spend considerable time training these little guys, you may not want to keep them near little children. While a considerably friendly dog, a lack of discipline can lead to the affenpinscher food and toy guarding, and challenging much larger dogs and causing further problems around the home. Again, this is not its normal nature, but one that can occur without correct discipline and boundary setting. Affenpinscher size: The height range is 25-38 cm and weight from 3-3.5 Kg. So as you can imagine with these statistics they tend to be quite a small but stocky animal. Affenpinscher Grooming: NEVER, ever clip the coat short, as it can take several years to fully recover. That said, grooming is comparatively simple as the harsh dense wiry coat only needs a weekly comb and/ or plucking. Their coats come in the following colours: black, tan, black & tan, red, silver, and gray. You may need to tidy up the hair around the dog’s eyes/ mouth and years to stop skin irritation. So while grooming is comparatively easy compared to many other non shedding dogs, being aware of their courageous and sometimes misguided protection capabilities should always be kept in mind before a purchase decision is made.